One of the most important advances in the roofing industry was the invention of architectural asphalt shingles. From appearance to durability, they’re an improvement of the traditional three-tab pieces in every way. 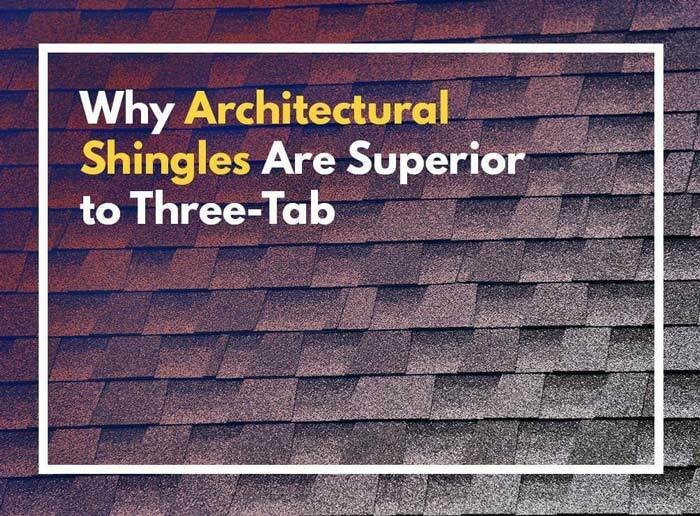 Traditional three-tab shingles are flat because all their shingle tabs are of one size and shape only. On the other hand, architectural shingles have a dimensional look to them. Their shingle tabs have different shapes and sizes, emulating the natural charm of authentic wood shakes and slate. In most cases, they’re practically indistinguishable from the real thing. As a result, they can lend your roof an upscale appearance without spending a fortune. Thanks to their superior thickness, architectural asphalt roofing shingles are about twice as heavy as three-tab products. This is why they deliver exceptional resistance to wind-uplift for decades. Note that the longevity of your replacement roof still depends on the installation proficiency of your roofers. Even if you buy the finest products, they might not live up to their potential if you hire non-certified professionals. Architectural asphalt roofing shingles come with better warranty coverage than three-tab products by virtue of being more weather-resistant. They may come at a higher price, but they do provide a greater bang for your buck. Again, it’s wise to hire a certified contractor so that you have the option to upgrade to higher levels of warranty coverage. For instance, choosing a Preferred Contractor gives you access to guarantees beyond the standard. Kroll Construction helps you explore impressive architectural shingle selections from Owens Corning and IKO. Call us at (844) 688-9632 to set up your FREE, in-home consultation in Detroit and to talk about your roofing needs.